There is a definite difference in construction quality between Shelti Foos 400 and Shelti's top tournament foosball table models. Primarily, the cabinet wall on the Foos 400 is protected by a melamine shell instead of high-pressure laminate and the rods are chrome-plated (QPQ-treated rods and 4 x 6-inch legs are optional). Still, it has all the Shelti ball capturing, maneuvering, and power-shooting ability. 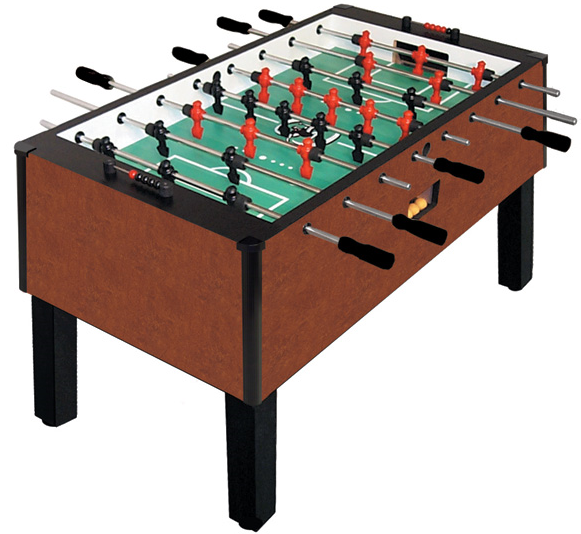 This table gives foosball players the precision features they need to achieve advanced shots like the snake shot. It also provides even beginning players with the tools needed to properly develop their skills. 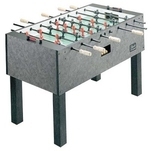 This foosball table is priced at around $900.